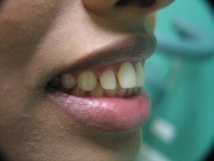 Porcelain veneers are a “treatment for all seasons” that can correct many types of cosmetic problems: covering discolored teeth, lengthening teeth, mending chips, hiding spaces between teeth, or just refreshing your smile. 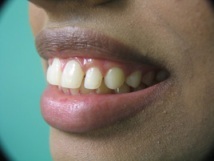 They’re that versatile. 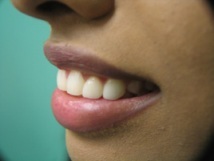 The main advantage of dental veneers is to provide a fresh new smile without major cutting down of tooth surfaces. 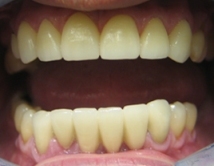 The result is a beautiful, long lasting restoration that won’t stain over time like a tooth colored filling can. 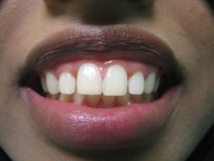 Contact our Lemont dental office today to get that more attractive smile. 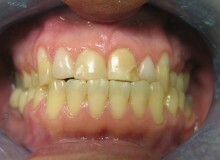 Call 708-716-4341. 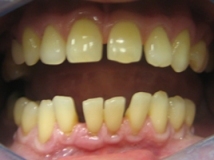 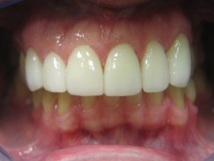 This patient had spaces left after she had her braces removed. 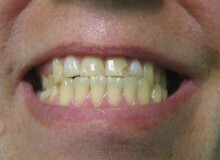 She chose to close those spaces with veneers. 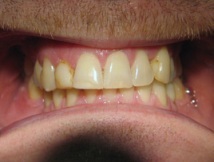 This patient had many spaces between his teeth and was not interested in braces, veneers were done on his upper front teeth and a porcelain bridge was done on his lower front teeth. 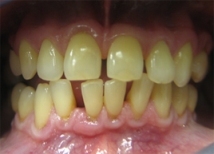 This patient had a very traumatic bite, his front teeth constantly slammed into one another causing constant chipping and cracking of his teeth. 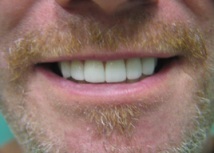 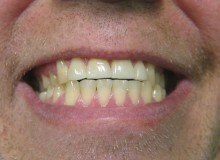 Instead of getting new bonded fillings every few months, the patient opted for veneers on his upper front four teeth and an adjustment of his bite to relieve the pressure. 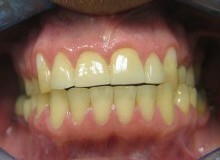 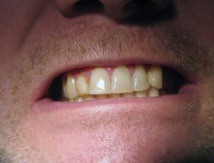 This patient had older discolored bondings on his front teeth, he wasn’t happy with their shape or color. 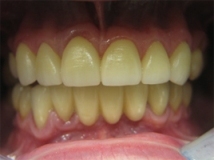 He chose veneers rather than having to go through braces and new bondings.